Frequency-division duplex (FDD) operation of Massive MIMO in LTE is the topic of two press releases from January 2017. The first press release describes a joint field test carried out by ZTE and China Telecom. It claims three-fold improvements in per-cell spectral efficiency using standard LTE devices, but no further details are given. The second press release describes a field verification carried out by Huawei and China Unicom. The average data rate was 87 Mbit/s per user over a 20 MHz channel and was achieved using commercial LTE devices. This corresponds to a spectral efficiency of 4.36 bit/s/Hz per user. A sum rate of 697 Mbit/s is also mentioned, from which one could guess that eight users were multiplexed (87•8=696). There are no specific details of the experimental setup or implementation in any of these press releases, so we cannot tell how well the systems perform compared to a baseline TDD Massive MIMO setup. Maybe this is just a rebranding of the FDD multiuser MIMO functionality in LTE, evolved with a few extra antenna ports. It is nonetheless exciting to see that several major telecom companies want to associate themselves with the Massive MIMO technology and hopefully it will result in something revolutionary in the years to come. 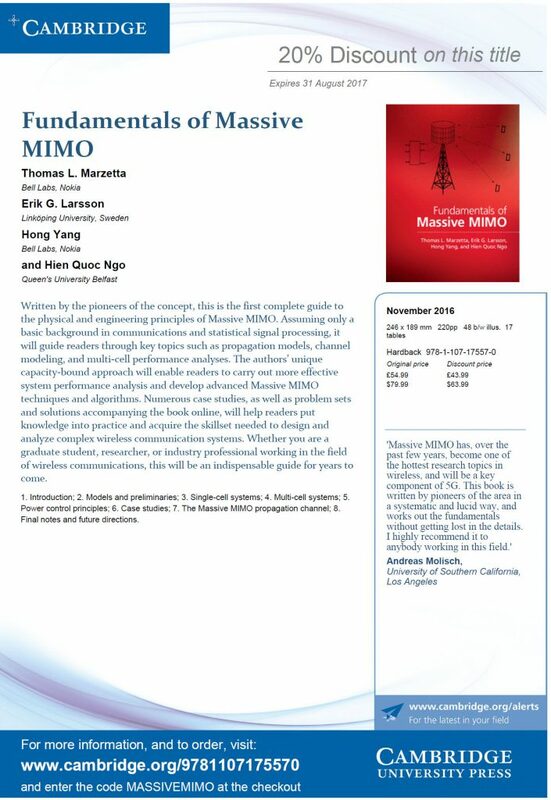 Efficient FDD implementation of multiuser MIMO is a longstanding challenge. The reason is the difficulty in estimating channels and feeding back accurate channel state information (CSI) in a resource-efficient manner. Many researchers have proposed methods to exploit channel parameterizations, such as angles and spatial correlation, to simplify the CSI acquisition. This might be sufficient to achieve an array gain, but the ability to also mitigate interuser interference is less certain and remains to be demonstrated experimentally. Since 85% of the LTE networks use FDD, we have previously claimed that making Massive MIMO work well in FDD is critical for the practical success and adoption of the technology. We hope to see more field trials of Massive MIMO in FDD, along with details of the measurement setups and evaluations of which channel acquisition schemes that are suitable in practice. Will FDD Massive MIMO be exclusive for static users, whose channels are easily estimated, or can anyone benefit from it in 5G? Update: Blue Danube Systems has released a press release that is also describing trials of FDD Massive MIMO as well. Many companies apparently want to be “first” with this technology for LTE. Massive MIMO is often mentioned as a key 5G technology, but could it also be exploited in currently standardized LTE networks? The ZTE-Telefónica trials that were initiated in October 2016 shows that this is indeed possible. The press release from late last year describes the first results. For example, the trial showed improvements in network capacity and cell-edge data rates of up to six times, compared to traditional LTE. The Massive MIMO blog has talked with Javier Lorca Hernando at Telefónica to get further details. 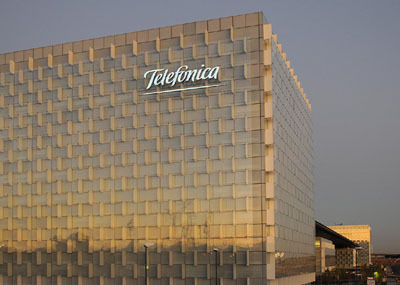 The trials were carried out at the Telefónica headquarters in Madrid. 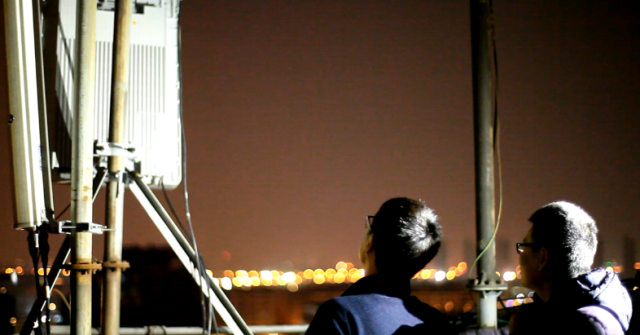 A base station with 128 antenna ports was deployed at the rooftop of one of their buildings and the users were located in one floor of the central building, approximately 100 m from the base station. The users basically had cell-edge conditions, due to the metallized glass and multiple metallic constructions surrounding them. The uplink and downlink data transmissions were carried out in the 2.6 GHz band. Typical Massive MIMO time-division duplex (TDD) operation was considered, where the uplink detection and downlink precoding is based on uplink pilots and channel reciprocity. The existing LTE sounding reference signals (SRSs) were used as uplink pilots. The reciprocity-based precoding was implemented by using LTE’s transmission mode 8 (TM8), which supports any type of precoding. Downlink pilots were used for link adaptation and demodulation purposes. It is great to see that Massive MIMO can be also implemented in LTE systems. In this trial, the users were static and relatively few, but it will be exciting to see if the existing LTE reference signals will also enable Massive MIMO communications for a multitude of mobile users! Update: ZTE has carried out similar experiments in cooperation with Smartfren in Indonesia. Additional field trials are mentioned in the comments to this post.